Safari Ltd® is an American owned, family operated manufacturer and distributor of educational Toys That Teach®. For over 35 years, these authentic, hand-painted figures have inspired endless play in children and adults around the globe. We're launching over 50 new products in 2019! Safari Ltd® is proud to launch its 2019 collection, sure to be remembered as one of the best in their 35+ year history. 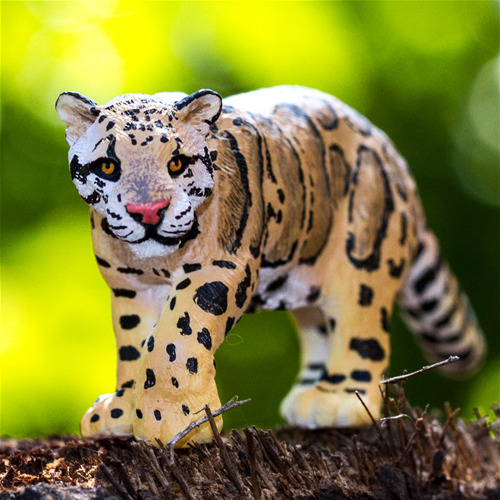 Their Toys That Teach – hand-painted figures with incredible detail - focus on imparting the importance of nature, conservation and sustainability…all through the joy of play! From prehistoric creatures brought back in life-like detail to dramatic imaginings of fantastical mythical beasts, there’s something for everyone in Safari Ltd®’s 2019 offerings. The twenty-first century has been an exciting time for new discoveries in paleontology, and the 2019 Prehistoric World collection is committed to shining light on this new information with all new toys! 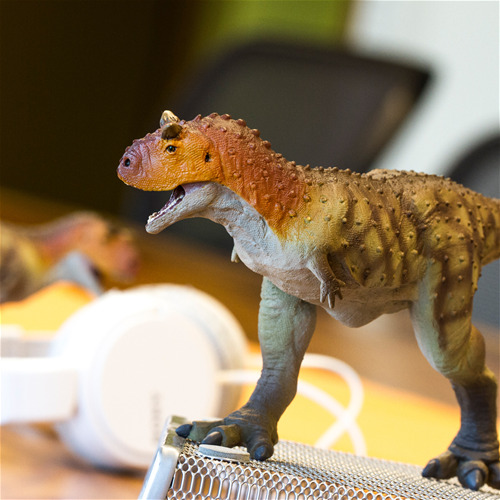 Our 2019 Spinosaurus figure has been completely revamped based on new 2014 findings that drastically reimagined the proportions of its body and revealed it to be much more aquatic in nature than previously thought. Another 2019 addition is Prestosuchus. In 2013 a remarkably well-preserved specimen of this prehistoric crocodile provided new insight into how the leg muscles of these ancient animals worked. Another exciting new release for SafariFans is the Woolly Rhino. It’s been over twenty years since Safari’s last Woolly Rhino figure, and it returns with a completely new sculpt based on current scientific research. Preserved and mummified specimens have revealed much more about how this ancient rhino looked like in life. 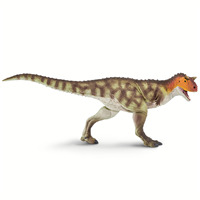 Other prehistoric offerings include fresh versions of old favorites, including Camarasaurus, Allosaurus, Stegosaurus, Pteranodon and Carnotaurus! Through the joy of play, Safari Ltd® aims to educate and raise awareness about animals that are facing extinction, and our 2019 Incredible Creatures® helps make this possible. 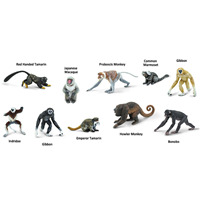 This collection features scaled figures of reptiles, fish, invertebrates, mammals and more. Some of them are even life-sized! This year, Safari is reintroducing the Pangolin. The desire for this mammals’ unique, armor-like scales has led to them becoming the most trafficked animal in the world! 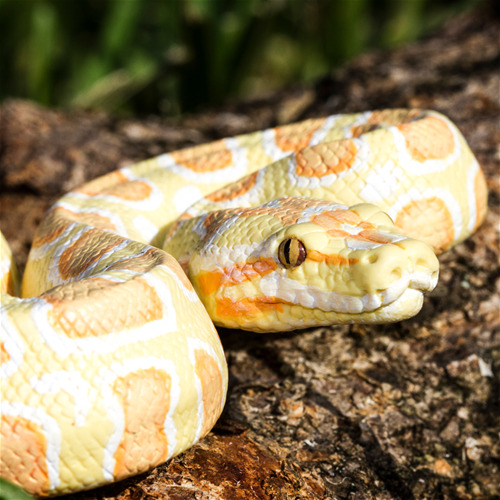 Our new Incredible Creatures® line also includes the Chinchilla, an adorable rodent that is endangered in the wild despite its popularity as a pet, and an Albino Burmese Python, another popular pet that has quickly become an invasive species in South Florida due to irresponsible pet owners. with realistic and accurate detail and coloration. One hotly anticipated release comes from the Mythical Realms® collection. 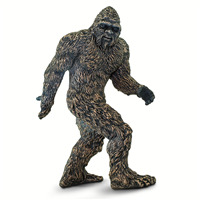 Unlike previous entries, which largely dealt with ancient legends from thousands of years ago, this year sees the release of Bigfoot, a much more modern legend that emanates from North America. This long awaited figure captures its ape-like appearance, balanced with some human emotion…and of course, its trademark giant feet! 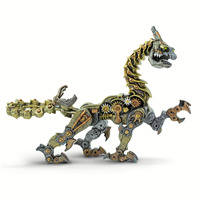 Safari Ltd®’s Dragons are always wildly popular toys for fans of fantasy, particularly in the realm of tabletop gaming, and 2019 sees the release of the first ever Steampunk Dragon, an original creation incorporating elements of this popular genre. Other new dragons to collect include the fearsome Lava Dragon, the proud Freedom Dragon and the elemental Earth Dragon. Safari Ltd® continues to create amazing figures for their Wild Safari® Wildlife and Sea Life lines, as well as their Wings of the World Birds. 2019 brings us animals from all over the world, including a new King Vulture, Clouded Leopard, Honey Badger, Snub-nosed Monkey, Caiman and Tasmanian Devil. Our Sea Life line features updated creatures of the deep, including an Orca and Sperm Whale. And what would our Sea Life line be without sharks? This year brings an Oceanic Whitetip, one of the most voracious predators in the open ocean, as well as the reef-dwelling Bamboo Shark. Safari Ltd®’s 2019 large-sized Wildlife Wonders™ collection is filled with highly detailed representations of animals from all over the world. Debuting this year are our expressive Grizzly Bear and Chimpanzee figures! Safari’s Best in Show collection adds two new figures, a French Bulldog for the dog lovers, and a Persian Cat for the feline fans. But that doesn’t mean they’ve neglected the barns and stables crowd! A rearing Thoroughbred horse joins the Winner’s Circle collection, while the aptly named Large White Pig joins Safari Farm. Safari Ltd®’s smaller lines – TOOBS® and Good Luck Minis® – are getting lots of love this year. Good Luck Minis® might be small - the size of a coin or paperclip - but they leave a lasting impression with tons of detail and character. These miniatures are perfect for craft projects, event giveaways, or just keeping around for good luck. New figures this year include Chameleons, Beavers, Sloths, Llamas, Giant Squids and more! Finally, a fan favorite of children, collectors and teachers alike, TOOBS® contain small figures packaged in a re-useable acetate container that can be used for all sorts of things, from school projects to sensory play. This year features some awesome new offerings: the Primates TOOB® with lemurs, monkeys, and apes, and the Dolphins TOOB® and Pelagic Fish TOOB® that feature sea life for fans of oceanic animals. This is just a taste of what 2019 has in store for Safari Ltd®. For the full list of this year’s brand new items, check out safariltd.com! Safari Ltd® is an American owned, family operated manufacturer of hand-painted scientifically accurate Toys That Teach®, based in Miami Lakes, Florida. Their mission is to teach children the importance of nature and its conservation through the joy of play. 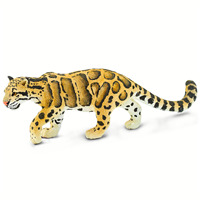 These authentic, hand-painted figurines have captivated kids, collectors and animal lovers around the globe for over 30 years and 3 family generations. The company’s products can be found in aquariums, zoos, and museums all over the world. Offerings include scientifically accurate figurines based on wildlife, farm animals, prehistoric creatures, and dragons and other fantastical beings. Safari Ltd®’s goal is to provide educational products that allow fans young and old to Discover the Frontiers of Their Imaginations®. Safari Ltd® is also dedicated to conservation efforts across the globe, and has contributed to several philanthropic organizations including the MOTE Marine Laboratory, Fairchild Tropical Botanic Garden, the Humane Society of Greater Miami, the Loggerhead Marinelife Center, the Nature Conservancy, National Eagle Center and the Sierra Club. 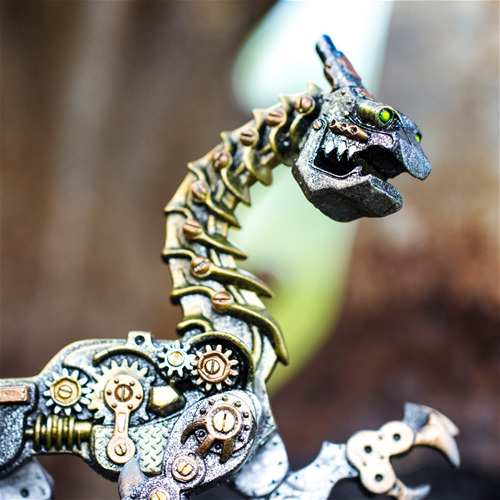 The Steampunk Dragon figure is 7 inches long and 5 ½ inches tall, about the size of a large index card. This hand-painted figure features gold, silver and copper painted parts, made to look well weathered and oiled. Measuring 5 inches long and 1 ¾ inches tall, this figure is painted with the distinctive Clouded Leopard pattern: a “dotted line” of black broken stripes down its back, the large “cloudy” blotches on the side that give the species its common name, and black spots along its tail, underside, and legs. Clouded Leopard fur ranges from gray to yellowish brown, which serves as the base coat for this figure, fading to white on the underbelly. 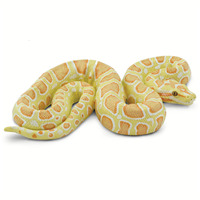 This hand-painted figure is a yellow-cream color with peach orange blotches ringed with white. The figure measures 5 ½ inches wide, 3 inches long and ¾ of an inch high. It’s about the size of a smart phone. This figure measures nearly 11 inches long and is 4 inches tall. It’s about as long as a standard American ruler. The Carnotaurus’s body is a drab green with a dark brown reticulated pattern and a darker brown stripe along its back. Its head is orange and its feet are gray. 1 ½ inches long, 1 ½ inches wide, and 13 inches tall, this TOOB® is a little larger than the size of a standard American ruler. 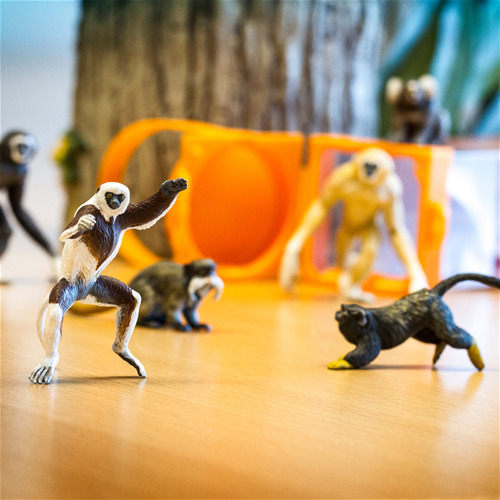 The Primates TOOB includes 10 hand-painted figures measuring between 2 and 3 inches long. There are a wide range of colors, including shades of black, brown, white, cream, and even pink for the face of the Japanese Macaque. 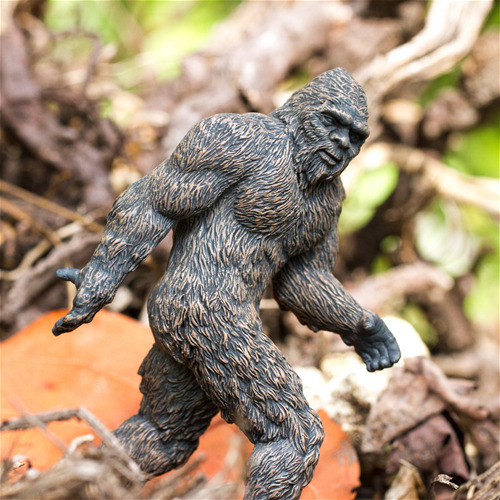 Bigfoot measures 5 ¼ inches tall and about 3 ¼ inches wide, a little bigger than a standard coffee mug. His hair is dark brown, with dark gray areas of exposed skin on his face and hands.